A question we often get asked is “how does BOSS alter the Melt flow index (MFI) of recycled plastics?”. As tempted as we are to say its magic, that takes place inside our ‘patented shoogling box’, it isn’t. BOSS doesn’t actually do anything to change the melt flow index (or MFR – you will see it referred to as both, but it’s the same thing. You also see MFV (melt flow volume) from time to time, and again its’ essentially the same measurement). Melt flow index is a measure of how ‘runny’ the plastic is – how it flows through an extruder. Different plastics for different applications need different MFI’s to make them easy to mould. You can see on this page more information about how Melt flow index (or melt flow rate) is performed and calculated. For example, if you are injection moulding you want a very ‘runny’ plastic – the ‘runnier’ the better as this allows for faster processing (quicker to ‘inject’ the plastic into the mould) and therefore production time is lower and hence costs are lower. However, if you are making pipe, you are extruding the plastic into a water-cooling bath, pushing it through a die head. If the material is too runny it will not form the pipe shape correctly and therefore extrusion is done using very low melt flow polymer to allow more control over the process. Melt flow is also a good indication of other material properties such as tensile, and impact performance, so if you know the melt flow index you can also estimate the physical performance of the plastic. Therefore, if you have a mixed plastic bale, you end up with lots of different types of plastic from lots of different types of background. The ideal way to segregate would be by polymer type and by melt flow. However, this isn’t feasibly/technically possible with the current state of art. 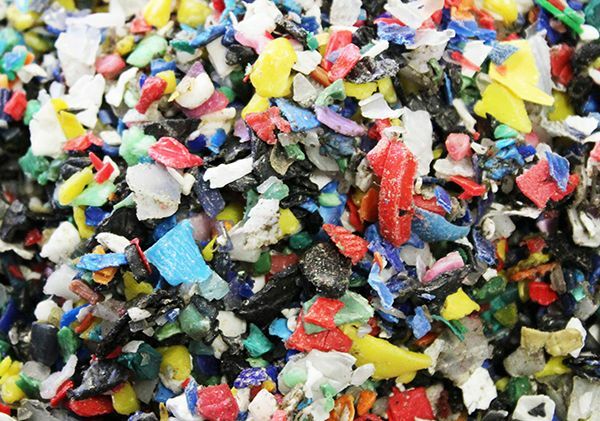 Your melt flow index is therefore set by the types of plastic you have in your mixed plastic waste stream. This depends on the source of the material. A post-consumer mixed rigids stream is likely to have much more injection moulded items in it, than a post-industrial rigid stream. If you simply granulated up the resulting Polyolefin’s from the mixed rigids you would have a variable melt flow index (and it would be a ‘strange’ melt flow, in that it would be higher than extrusion, but lower than injection mould grade. It usually sits in the 2-5 g/10min @ 2.16kg range, which quite frankly isn’t much use. As you separate the mixed PO you get different melt flow index’s. If you can get the purity to 90% PP and 10% PE (as is typical of optically sorted mixed rigids) you will get an MFI of 7-10 g/10min @2.16. It goes up because you have removed some of the PE (which is generally in a mixed stream extrusion grade). As you increase the purity further towards 99% PP your melt flow jumps (in the case of a city source of mixed rigids, close to 30MFI @ 2.16kg). This is because there is very little in the way of PE left, and your left behind with the mixed PP stream, which is predominately injection mould grade. In the case of a more rural recycling site, their PP melt flow is likely to be lower, around 18MFI – this is because the source is more agricultural than compared to a city recycling site, with less injection mould material present. The PE is essentially the same, but the other way around. Most of the PE objects in a mixed stream tend to be either extrusion grade or blow/rotomould grade materials, and therefore have a quite a low melt flow index. 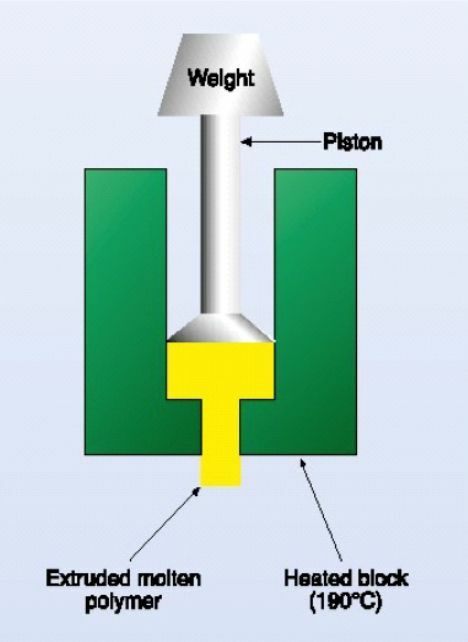 The more PP contamination you get in the PE the higher the Melt flow (as the injection mould grade PP raises the melt flow index). The market demand will ask for as close to the virgin specs as you can get. There is lots of optically sorted (90/10) and handpicked rigids (80/20) on the market place. There is very little BOSS material (97/3) on the market. As the purities on BOSS are higher, you get the corresponding increase in melt flow index as a result. As you can see, BOSS isn’t actually changing the MFI, it is simply separating the material more effectively to bring you closer to the MFI’s which you should get from 100% pure material. The industry talks about consistent melt flow index as this is what compounders need. If the MFI is constantly changing it becomes very difficult to blend into other materials to create the compound needed. If it is consistent and close to the desired MFI, then it is much easier and more flexible to blend with other sources to create the compound that they want. For more information about BOSS, how to effectively separate mixed plastics and for details on plastic testing then get in touch with the impact team on the below.